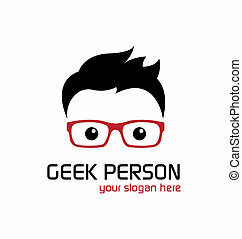 The logo shows a funny panda with glasses. 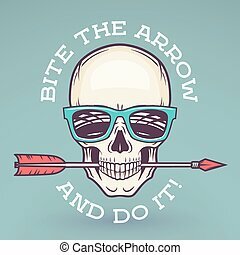 Hipster skull with geek sunglasses, beard and arrow. 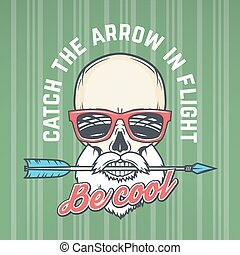 Catch the arrow in flight quote t-shirt concept. 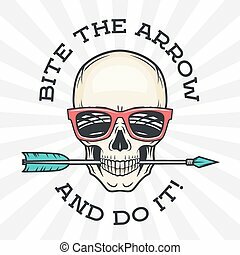 Be cool motivation poster design. Apparel shop logo label.